rmotr.com Student's Guide > Introduction > How to get Help? Introduction How to get Help? Communication is key at RMOTR. It's our core value. We encourage you to reach out whenever you have a question or any particular comment. 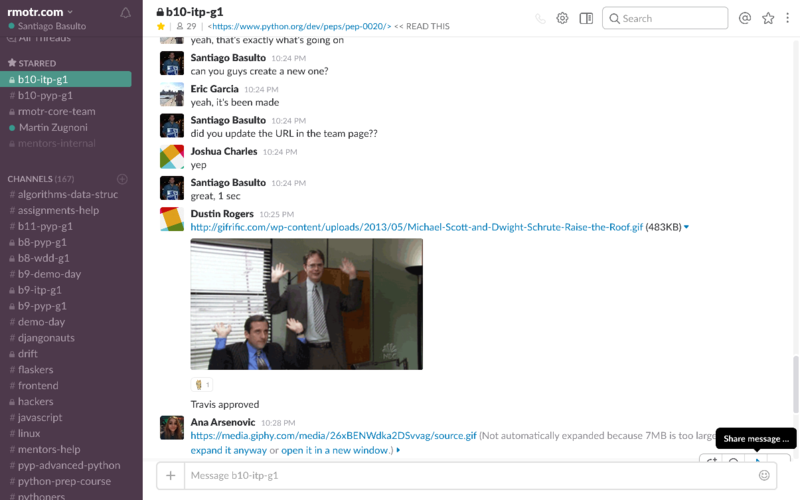 Let's start with the technical requirements to communicate: slack. During your first week at RMOTR, you should have met your Teacher Assistant. She/He is the number one person to reach out in case you have questions or issues in general. 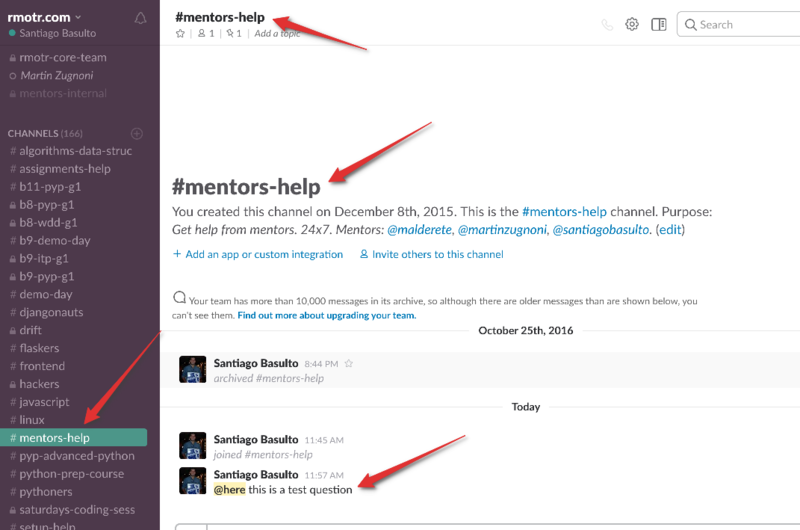 Slack is our main communication tool; everything happens on Slack. You can download apps Windows, Linux, MacOS, iOS, Android and Windows Phone. If you don't want to download a particular client/app, you can always use the browser version: rmotr.slack.com. Slack has many useful channels that you can browse to discuss freely about different topics (#general, #djangonauts, #flaskers, #pythoners, etc). But there are two particular channels that are the most important ones: #mentors-help and your own cohort's channel.